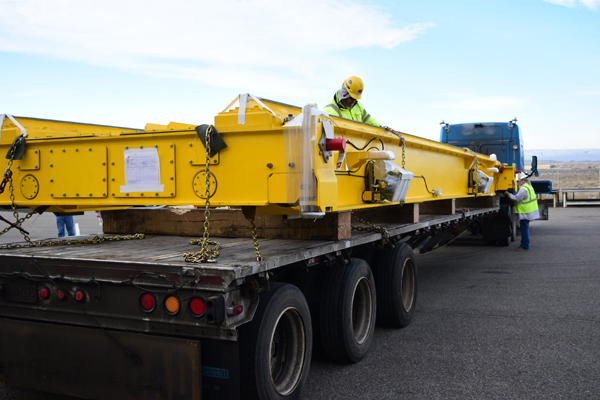 The HLW melter cave crane bridge arrives at the Hanford Vit Plant. Strides continue to be made toward completion of the High-Level Waste (HLW) Facility at the Hanford Vit Plant as employees recently received a crane that will aid in the future installation and maintenance of the facility’s melters. The crane will be installed in HLW melter cave two where its 25-ton lifting capacity will be used to help employees move support equipment during installation and maintenance of the 90-ton melter. During operations, the crane will assist with maintenance of equipment in the melter cave. The crane weighs 50,000 pounds and measures 34.5-feet long, 12-feet wide, and 7-feet tall. It will span the 35-foot wide melter cave and be able to move across the entire 134-foot long area. The crane was manufactured by American Crane and Equipment in Douglassville, Pennsylvania. A second similar crane will be received in the near future for eventual installation in melter cave one. Read more about this important progress at http://bit.ly/2ik7jk3. 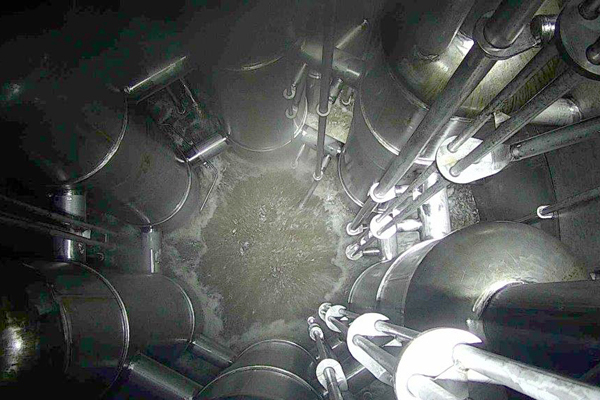 A view of the inside of the test vessel containing six pulse jet mixers used to keep the solids suspended in the simulated radioactive waste. The Department of Energy Office of River Protection (ORP) and Bechtel National, Inc. kicked off the final stage of testing intended to resolve one of the remaining technical issues at the Hanford Vit Plant. Employees have begun the final phase of full-scale testing of control equipment and systems designed to safely mix radioactive waste in vessels at the Pretreatment Facility. The vessels will store and process liquid radioactive waste before it is vitrified in other Vit Plant facilities. “This represents substantial progress and will lead to restarting engineering, procurement and construction on the Pretreatment Facility,” said Bill Hamel, ORP assistant manager for the Vit Plant. The full-scale test vessel is outfitted with an array of six pulse jet mixers designed to keep the contents of the 22,000-gallon vessel safely mixed by precluding solid particles in the waste from settling at the bottom of the vessel. Testing focuses on the equipment used to properly mix the waste. “Proper mixing of waste in the vessels is critical to safely processing and treating the waste stored in Hanford’s underground tanks,” said Peggy McCullough, Bechtel's project director for the Vit Plant. The 65-ton full-scale vessel being used in the current tests is 16 feet in diameter and 36 feet high. It will weigh 310 tons when filled with liquid and simulated waste used to mimic the characteristics of the radioactive waste stored at the Hanford tank farms. This is the third and final phase of vessel testing and is expected to take less than a year to complete. Results of this testing will be used to inform final design of the vessels intended to be installed in the Pretreatment Facility. 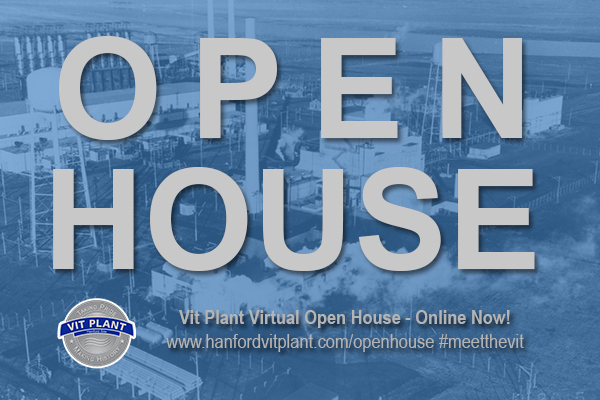 Learn about the Hanford Vit Plant and the people who work there through the Vit Plant Virtual Open House, a web-based multimedia experience that features displays, videos and photos about the project. All 13 sections have been opened and include information about early Hanford, the Vit Plant facilities, our employees and more. Tom oversees the design of the massive Hanford Vit Plant as the production engineering manager. 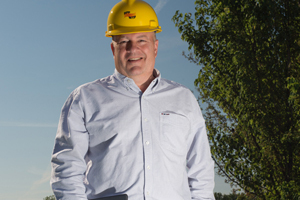 He is responsible for implementing more than 11,000 technical requirements into the design of nuclear facility. It’s a monumental job, but after spending the majority of his 35-year career in the nuclear industry, Tom is the right person for it. When operational, the Vit Plant will process Hanford’s radioactive and chemical waste into a solid glass form that is safe and stable for the environment. The nature of the waste, a legacy of World War II and the Cold War, means designing the plant requires the same rigor that applies to nuclear power plants. Fortunately, Tom has worked on eight nuclear power plants across the United States in various phases of their life cycles--from design through operations. (DFLAW), Tom recalls why he enjoys his work. 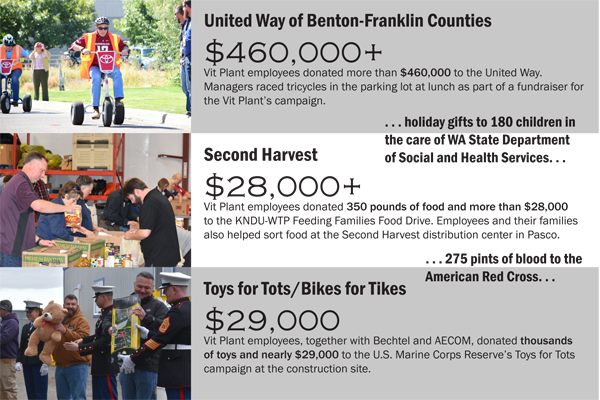 Hanford Vit Plant employees continued to demonstrate their generosity and commitment to their community in 2016. Employees, together with Bechtel and AECOM, donated more than $584,000 and thousands of volunteer hours to local events, programs, and organizations throughout the year. Read more about the donations at http://bit.ly/2k0tboO. 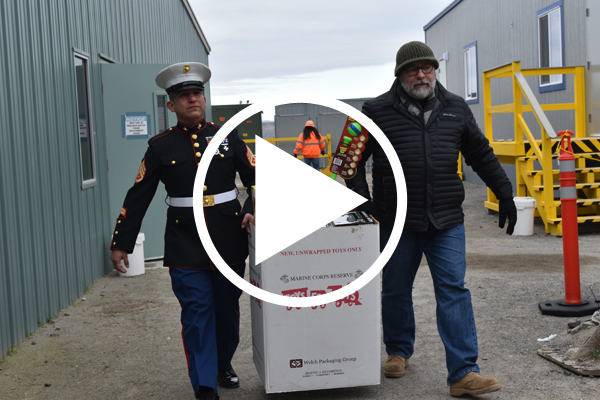 Vit Plant employees, together with Bechtel and AECOM, donated thousands of toys and nearly $29,000 to the U.S. Marine Corps Reserve’s Toys for Tots campaign. This is the tenth year that the Vit Plant has participated in the campaign. 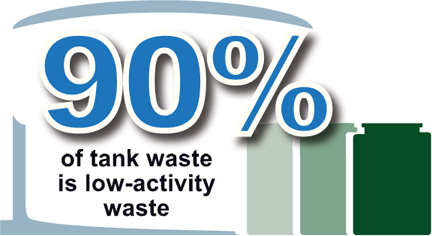 Roughly 90% of Hanford's tank waste is low-activity waste. To begin treating waste as soon as practicable, the U.S. Department of Energy developed direct feed low-activity waste, a sequenced approach that would treat low-activity waste first, as soon as 2022. 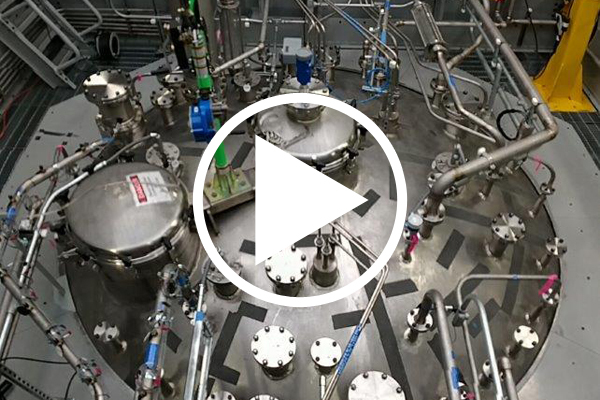 You can see inside the world’s most advanced nuclear processing facilities built to solidify radioactive waste in glass by taking a virtual tour of the Vit Plant. 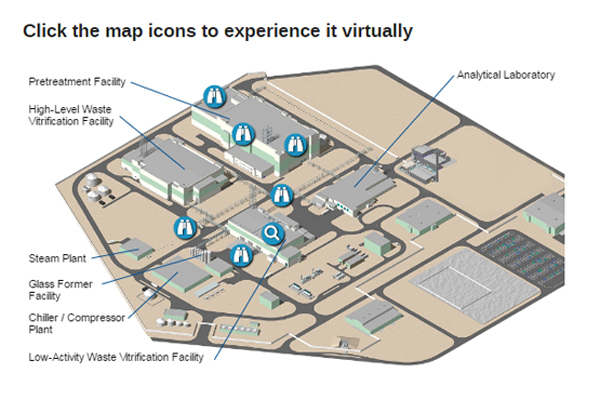 The Vit Plant Virtual Tour is a 360-degree online interactive tour that offers a chance to better understand this one-of-a-kind complex. Virtually visit the Vit Plant at http://bit.ly/2jxu3O3. Watch a video describing the testing being performed on the full-scale vessel at the Full-Scale Vessel Test Facility in Richland. Copyright © February 2017 Bechtel National, Inc., All rights reserved.